Z-Ball Gold is a ball breaking game with a side view ala Pong. The cool thing about this game is the powerups which are unique and entertaining. 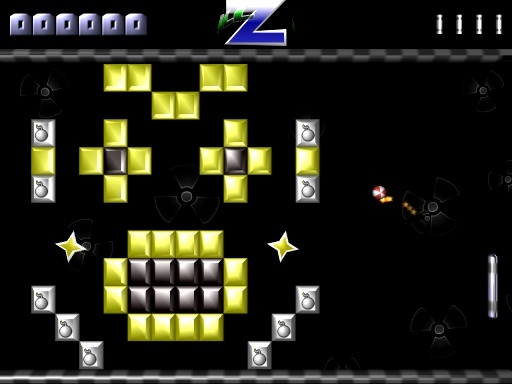 You will find yourself playing the game over and over just to see what kinds of crazy powerups you haven't seen yet. 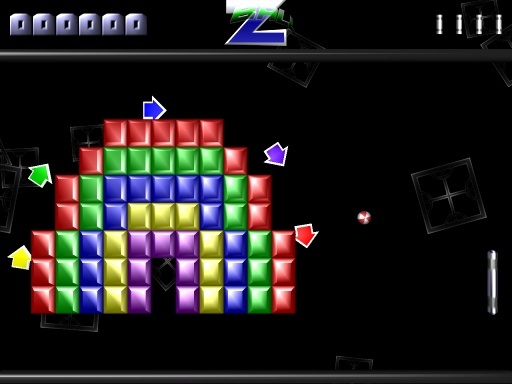 The levels are also unique with some features that have never been seen. Some obstacles steer your ball wildly like a fan, some warp your ball to other parts of the screen, others speed up your ball in certain directions.